I’ve been thinking about this post from July 2013 because I’m back in retail, although not stocking the band-aid shelves any longer. Now my job is to select the band-aids (and the cereal, and the water, and the canned tomatoes, and the bread) that the ecommerce customer has asked for. Did you ever play store when you were a kid? We did. We would climb up onto the stove top and pull canned goods, oatmeal, teabags, cereal, and more out of that upper cabinet. Then we would go get some paper bags out of the closet, and carry it all into the living room to set up our store. There were three of us kids so we had a bagger, a cashier, and a customer. Sometimes we would strain the cashier’s capabilities and have TWO customers in line. Ah, it made for hours of fun. I remember how fun it was to set up the store. When I started mulling over the possibility of getting a job in retail, my local grocery clerk actually asked me out of the blue if I would like a job, so I pursued it. There are some fun things about stocking shelves. Making everything look nice, filling in empty spots. The best part is being able to direct a customer to the product they are seeking. And then the band aids happened. 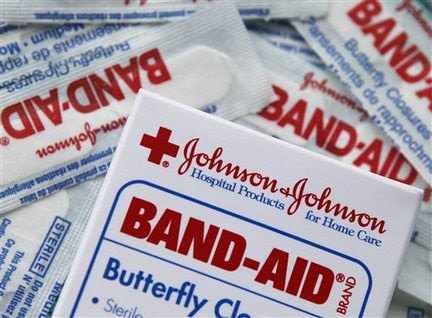 Let’s just look at Johnson&Johnson, a popular brand of band-aid. The line that my local store carries includes comfort-flex plastic (60 count), medium comfort-flex adhesive pads (10 count), large comfort-flex adhesive pads (10 count), comfort-flex sheer (40 count), comfort-flex sheer assorted (40 count), comfort-flex sheer assorted (60 count), comfort-flex sheer assorted (80 count), comfort-flex extra large (10count), comfort-flex clear (30 count). And so on to the tune of over 40 varieties of type, size, and use. Ah, but we would be remiss if we only offered 40 types of one company’s product. So we also offer another 40 or so similar products of the generic house brand. Even if you skipped those last two paragraphs, that means EIGHTY types and varieties of band aids. And band aids don’t come in those sturdy metal canisters anymore. No, indeed. They come in paper boxes. Paper band-aid boxes fall over at the whisper of a touch. So, the poor sod who gets the job of restocking the band-aid shelves — it’s like playing that children’s game “Operation” where the buzzer sounds if you touch the sides of the “incision.” But in this case, the boxes fall over, mix themselves up, turn their backs on me, slide, fall off the shelf, stand on their head, and turn on an angle. Anything but stay where they are PUT. Of course people need band aids. And no doubt the magic Market Research has shown that people need band aids to come in all one size, and assorted, and waterproof, and extra large, and medium, and sheer, and clear, and flexible, and sport, and pre-treated with antibiotic ointment, and shaped for fingers, and shaped for toes, and extra-sticky, and less sticky, and the all-important travel pack. restocking the band-aid shelves. I felt the sand of my life descending into the bottom of the hourglass as I conscientiously did this job. NOT enough sand in the top to make this job worth me doing. Not only band-aids, but allergy medicine, shaving cream, lotions, shampoos, vitamins, diapers, chocolate bars, hairspray, feminine products, toothpaste. They all come in MULTIPLE multiple sizes. Not enough sand, my friends, NOT ENOUGH SAND. As is my wont, I am questioning how I am spending my time. For a long time, i wanted to have my own business, and dabbled in a couple of ideas, but i just never felt like having my own business was a good fit. I am good at support, at following, at editing, at improving. Not quite as good at facing rejection, setting boundaries, pursuing self-care in the face of the needs of others, persevering through the difficulties, waiting for the business to grow, dealing with the paperwork, and making money through having a business. And yet, in retail, there’s this disconnect between corporate and store-level employees. Store-level employees are paid very little and are there to advance the bottom line of the company. I’m sure I can’t solve the many management/labor issues that plague our society, but I can certainly observe that they are there. So even a store-level employee who loves their job is faced over and over with ever-increasing demands from corporate. And me being the frog that I am, I was quite comfortable in the pot of cold water I started in and didn’t really notice the heat being turned up and up and up until finally my physical self started to rebel. Even then, I ignored the symptoms in the name of doing a good job at my work. So, now, here I am, questioning. 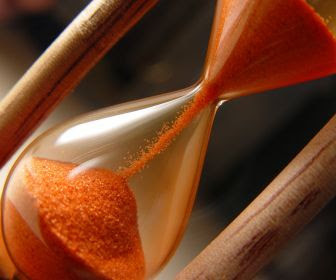 Is what I am doing worth spending the limited sand in the hourglass? In some ways, I still say yes. In other ways, I say, not a chance. If I believed there was really a chance to be successful, that is, to provide excellent customer service, then the answer is yes. But I don’t know how to lead a team to provide excellent customer service, at least not in the petri dish of my employment. Talk about sacrificing the important on the altar of the urgent. Everything is urgent in my job. Time deadlines from morning to night. Some are reasonable, and some are not. And when they are not, mistakes are made, customers are dissatisfied, and metrics are not adequately reached. In my very, very humble opinion, the ENTIRE reason for my job is customer satisfaction. But that is a slippery, slippery slope. Customers have learned to express their dissatisfaction. They have learned that they will receive monetary benefit if they don’t like something. There are customers who exhibit an attitude of entitlement. I love providing excellent customer service, but I also recognize that the greater good isn’t necessarily being served in the job that i do. That’s kind of a hard thing to acknowledge. 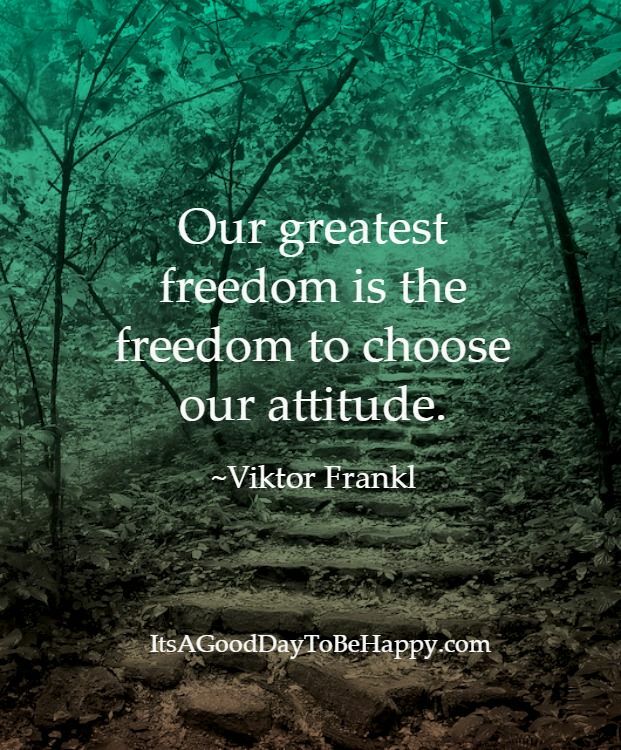 I believe in accepting what comes my way. There are plenty of times when I have to work hard to get to a place of acceptance (note: several issues occurring as I write today), but I believe with all my heart that acceptance is what brings healing, and health, and unity, and hope, and peace. Timely post. I shared and it was appreciated once again. thank you so much for taking time to read and comment! thank you so much for reading and leaving a comment!